Charging speed up to 3A, this allow you to charge your phone in the fastest way. 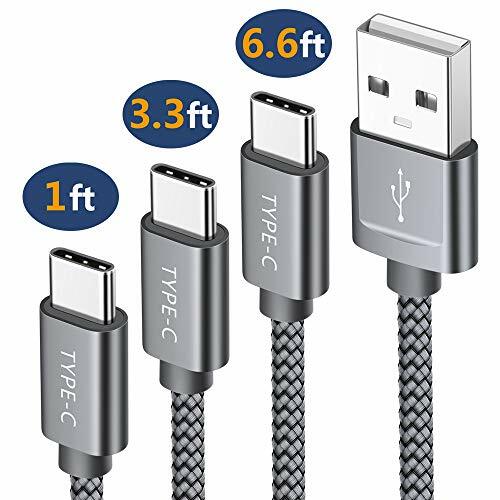 【Compatibility List】: This USB Type C Cable can fast charge and sync well with Samsung Galaxy S9 S8 Note 9/8, LG V30,V20, G6,G5, Moto z, Moto z2,Google Pixel XL,Nintendo Switch and More. If you have any questions about this product by JSAUX, contact us by completing and submitting the form below. If you are looking for a specif part number, please include it with your message.